Two recent pieces of cannabis legislation—one already signed into law—could profoundly impact the future of cannabis in the United States. When President Trump signed the 2018 Farm Bill, it essentially legalized the hemp industry nationwide. Now, for the first time in nearly 100 years, participating states can grow industrial hemp for a wide range of purposes. Another piece of cannabis legislation, HR Bill 420, could do the exact same thing for legalizing marijuana—although opinions seems somewhat divided. Time will tell if the U.S. chooses to legalize all forms of cannabis and remain in step with worldwide trends to create a legal market for the plant. Many industry experts expect 2019 to be the year for full marijuana legalization. 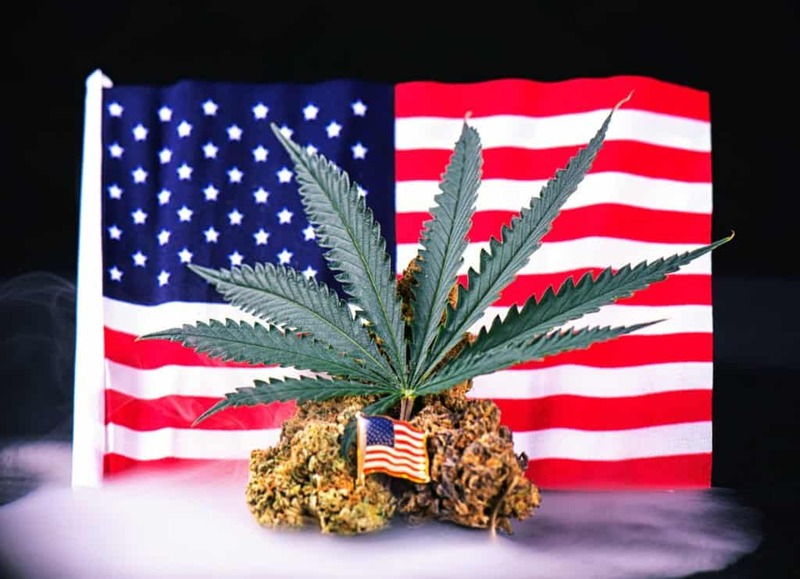 Part of the growing optimism about the possible full legalization of marijuana is the elimination of two political enemies of the plant, specifically former U.S. Attorney General Jeff Session and Texas Rep. Pete Sessions (no relation), former chair of the House Rules Committee. Both of these Republican politicians have been instrumental in blocking all pro-cannabis legislation where they were in a position to exert influence. Rep. Sessions was successful in preventing dozens of pieces of pro-cannabis reform bills from ever reaching the House floor. The persistent attitude of both men is that cannabis has absolutely no redeeming medical use and is bad for American society. Regardless of continuous emerging evidence that marijuana and other products containing either tetrahydrocannabinol (THC) and cannabidiol (CBD) can relieve a wide variety of physical ailments, both men remained firm in their opposition of any pro-cannabis reform. Even CBD, the non-psychoactive cannabinoid in marijuana that has shown great potential for medical use—as well as a possible solution to America’s opioid epidemic—was dismissed. Fortunately for the cannabis industry, Pete Sessions lost his re-election to Texas’ 32nd Congressional District to former NFL player Colin Allred during last fall’s midterm elections. Jeff Sessions’ forced resignation was more widely publicized and was thought to have occurred because of his increasingly tenuous relationship with President Trump after recusing himself from the Mueller investigation in 2017. With both Sessions out of office, the outlook for cannabis seems brighter than ever, with increasing optimism among cannabis industry insiders that President Trump may relent to the court of public opinion and pass legislation that will pave the way for full cannabis legislation at the federal level. The farm bill passed both the U.S. House and Senate with landslide votes of 369 to 47 in the House and 87 to 13 in the Senate. With obvious bi-partisan support, one of the bill’s strongest supporters was Republican Senate Majority Leader Mitch McConnell of Kentucky. McConnell’s longtime support of hemp is likely due to his state’s need for a new cash crop since tobacco cultivation in Kentucky has hit a steady decline. Hemp cultivation promises to replace the void left by tobacco farming. Regardless of McConnell being a driving force behind the reformation of hemp laws, he remains a staunch opponent of any reform of marijuana laws. Under its current definition, hemp is cannabis that contains 0.3 percent THC or less, which makes any intoxicating agent extremely minimal and irrelevant. No one will get “high” from smoking it—but many health benefits remain, including prodigious amounts of CBD. The bill confirmed the legalization of hemp as well as provisions for its cultivation, transportation, and sale. Hemp is no longer lumped together with marijuana as a Schedule 1 drug along with heroin, LSD, and ecstasy. Because of its “look alike” status, former legislation like the 1937 Marijuana Tax Act and 1970 Controlled Substances Act failed to separate hemp from marijuana, and the two were lumped together for many decades, which makes the passage of the farm bill particularly significant to the cannabis industry. The 2014 Farm Bill led to a pilot programs for the growing and research of hemp in states that wished to participate. These states were extremely limited in their hemp production, and the state agriculture programs and the U.S. Department of Agriculture (USDA) oversaw this limited hemp cultivation program. The 2018 Farm Bill now allows much broader cultivation of hemp, and since hemp is now federally legal, hemp products can now cross state lines. A valuable safety measure now available to hemp farmers is their ability to now take out insurance on their hemp crops under the 1980 Federal Crop Insurance Act. Most likely, the U.S. Food and Drug Administration (FDA) will provide oversight of the impending influx of hemp-related products in ways not completely finalized. One important distinction of the farm bill is that CBD will remain illegal—unless it was derived from hemp (which must contain only 0.3 percent THC or less). Regulations regarding those products will no doubt occur to ensure that any CBD products sold did, indeed, come from hemp flower and not marijuana. Introduced in early January 2019 by Democrat Rep. Earl Blumenauer of Oregon, HR 420 would essentially legalize the marijuana industry. Even the name of the bill, “420,” is a nod to the legal-but-limited marijuana industry (the number 420 9s synonymous with the plant in cannabis culture). HR 420 would regulate cannabis like alcohol, and organizations in the alcohol industry have already shown they are anxious to capitalize on this lucrative opportunity. Late last year, the Wine and Spirits Wholesalers of America (WSWA) held a briefing on Capitol Hill urging the federal government to take a hands-off approach to state cannabis laws. It also provided recommendations for regulation, including no vertical integration. A spokesman for the association has said that the distribution method for alcohol is a tried and true practice that would serve the cannabis industry well. While efforts to legalize marijuana on the federal level have had bipartisan support in Congress, there is still a great deal of reluctance to allow sweeping changes like those seen in Canada. Some members of the Senate, such as Mitch McConnell, seem as anti-marijuana as they are pro-hemp. As we proceed through 2019, time will tell whether the current U.S. administration will adopt reasonable and progressive change to properly regulate marijuana. For many, this seems long overdue.